Truly a rare find! This gorgeous home & property immediately welcomes you with a private circular driveway, lined with mature trees & full landscape with private well irrigation. 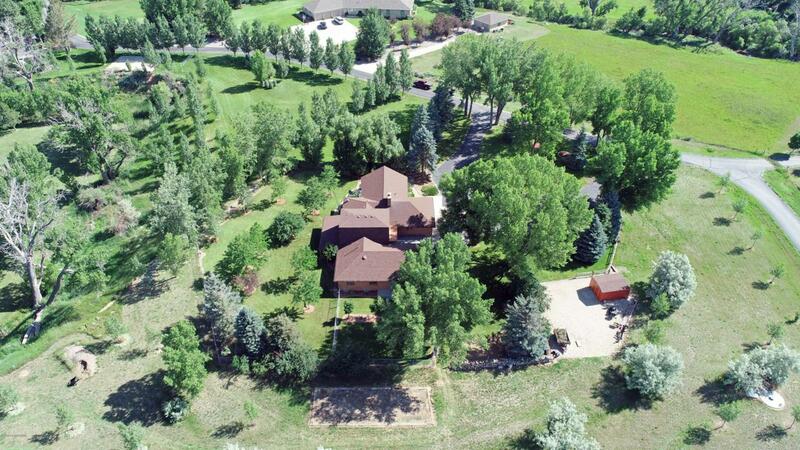 5,526 total sf floor plan, with over 2,500 sf on the main level alone, situated on an exclusive 2.5 acre lot located in Gillette just minutes from anywhere. This grand entry leads you into the large custom formal living & dining rooms, opening through a large kitchen, dining area & beautiful vaulted family room. 4 bed, 3 bath featuring a main level master suite, as well as a private upper level suite & balcony. Including a finished basement w/ a large family room, bar, massive storage rooms, & hobby room. Boasting unique features throughout including fireplaces, in home spa, tile, stone & solid wood finishes. Listing courtesy of Jamie Means of Re/Max Professionals.